On a Sunday morning Oakhall Church meets at 181 Chaldon Road, Caterham, CR3 5PL. Families start off together in the main auditorium then after about 20 minutes our 0-14’s go out to their own groups. 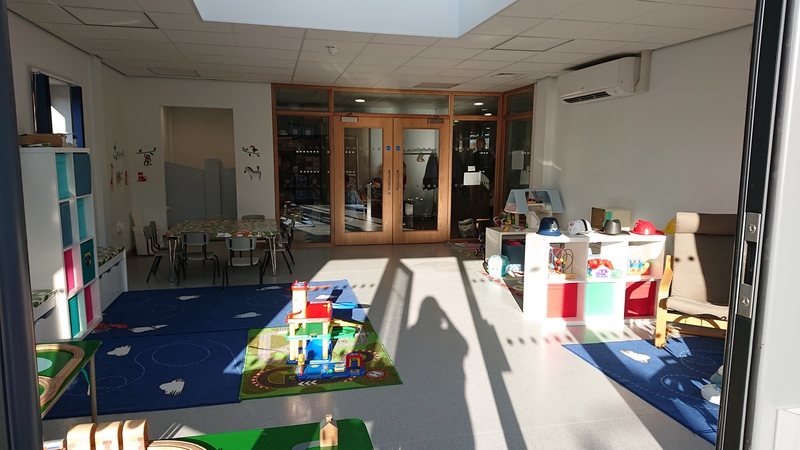 For babies and toddlers (0-2’s) we run a warm and welcoming creche which is in a bright spacious room with some great toys. Our pre-school group ‘Sparklers’ (for our pre-school 2-4’s) meet in this area too, enjoying a time of free play before they have a Bible story and craft time together.